The Indian Craft Shop was established in 1938 inside the U.S. Department of the Interior in Washington, DC and features American Indian arts and crafts from across the United States. 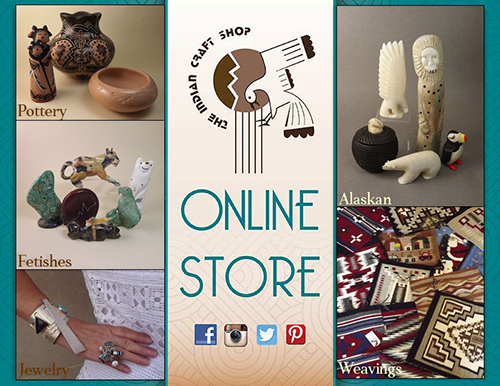 Information about American Indian arts and crafts, Tips on Collecting, our Calendar of Events, and more can be found browsing our web site. A selection of the work available in the Shop can be found on our Online Store.